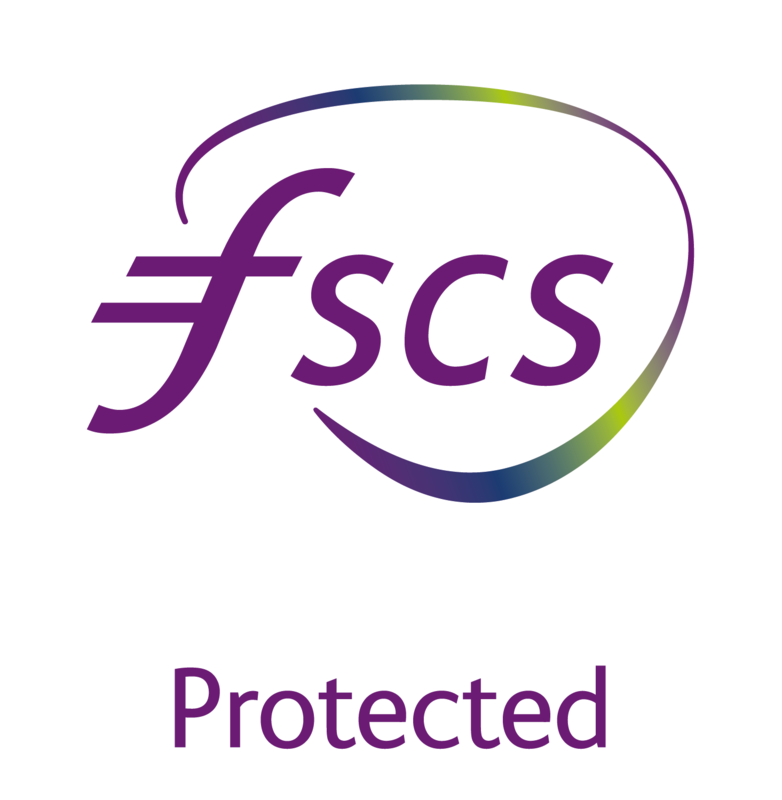 We're entirely owned by charitable foundations, trusts and social purpose organisations. So when we say we’re an ethical bank, we mean it. Today, charities have never been more needed, but also more challenged. That’s why our promise – of supporting charitable activities and helping people to save and do good – is more important than ever. We take the time to understand the organisations we lend to, we put peoples' money where their values are and together we work to create lasting social change in our communities. We are an ethical bank for everyone who knows that banks can do better. We are the bank for people who believe that banking should always work for good. You’re looking for an ethical bank that will help you to put your money where your values are. You believe that banks can do better and you want your money to be a powerful force for good. You open an individual or business savings account with Charity Bank. You’re a charity or social enterprise and you want to borrow from an ethical bank wholeheartedly committed to what you do. You’d like to work with a regional manager that you can rely on as a partner in doing good. You apply for a Charity Bank loan. You’re passionate about using finance to support charities and social enterprises. You believe that banks have a vital role to play in creating a world we all want to live in; you want to live your values at work. You apply for a job with Charity Bank. View vacancies. You’re a trust, charity or foundation looking to invest in a business that puts people and planet before profit. You’d like to see a modest return but a central purpose of your investment is to see your money do social good. You invest in Charity Bank. You join a community of like-minded individuals all working towards one goal. Our charitable borrowers, ethical savers, social investors and dedicated staff are helping to make sure that charities and social enterprises can always be there for the people and communities that need them. Banking for good provides the tools for people not just dreaming of a better world, but busy building one. You’ll get to know our regional managers by name. They take the time to meet you and tailor our loans to suit your financial need and social aims. 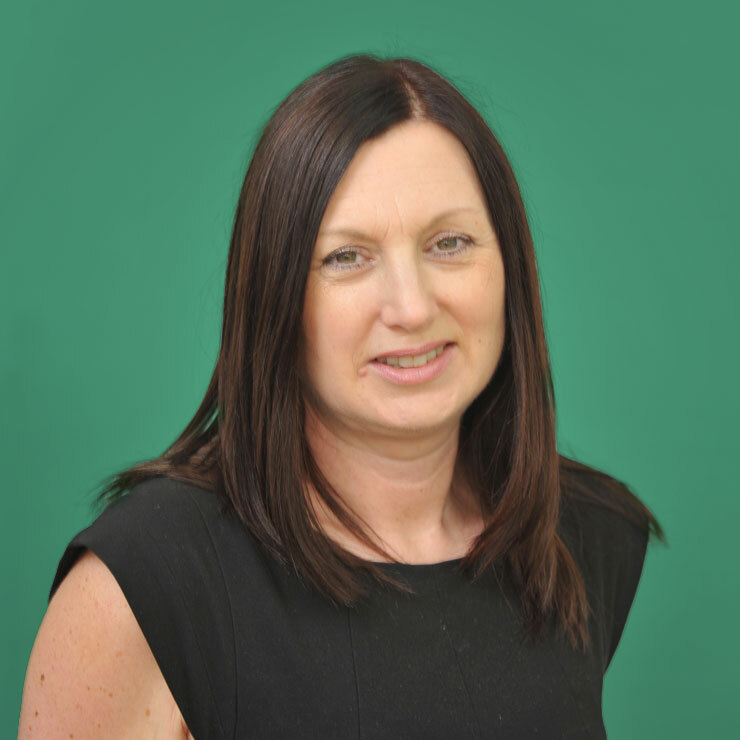 Carolyn began her banking career with National Westminster Bank before moving on to MLA Bank Limited where she had responsibility for property investment and development lending. After Dexia Public Finance acquired MLA Bank in the early 1990’s, Carolyn went on to become responsible for the bank’s social housing activities. She arranged finance for the first housing PFI scheme and also worked on project finance and limited recourse financing deals. Carolyn is a trustee of a number of charities. Chris has been in banking for 30 years. Before moving to Charity Bank, she managed a customer portfolio of small and medium sized businesses, providing support, guidance and a range of funding options. In addition, she specialises in finance for social and affordable housing providers. In her spare time, Chris enjoys travelling and walking in our beautiful countryside. 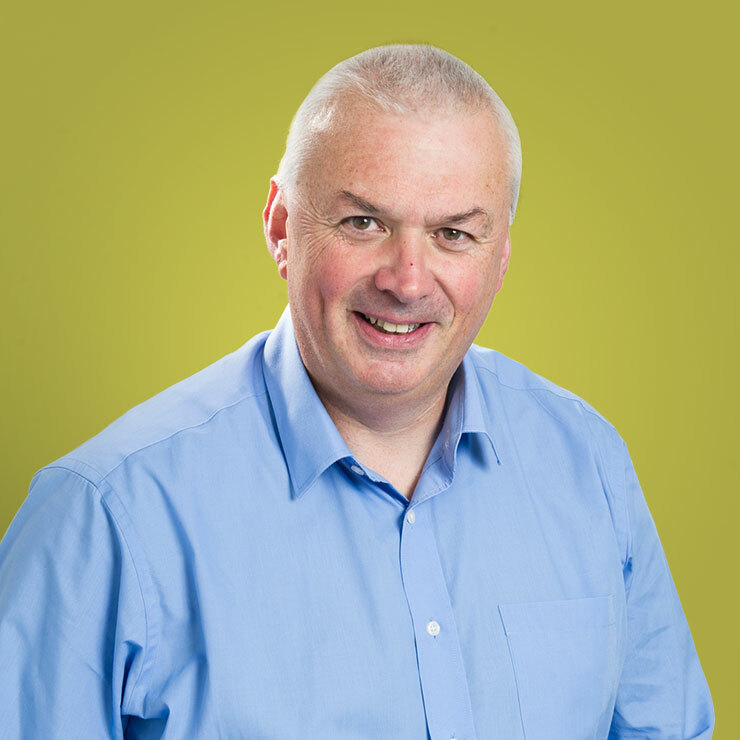 Peter is our Regional Manager covering the Midlands with responsibility for the development of the bank’s support to Charities, Civil Society organisations and Social Enterprises in the area. 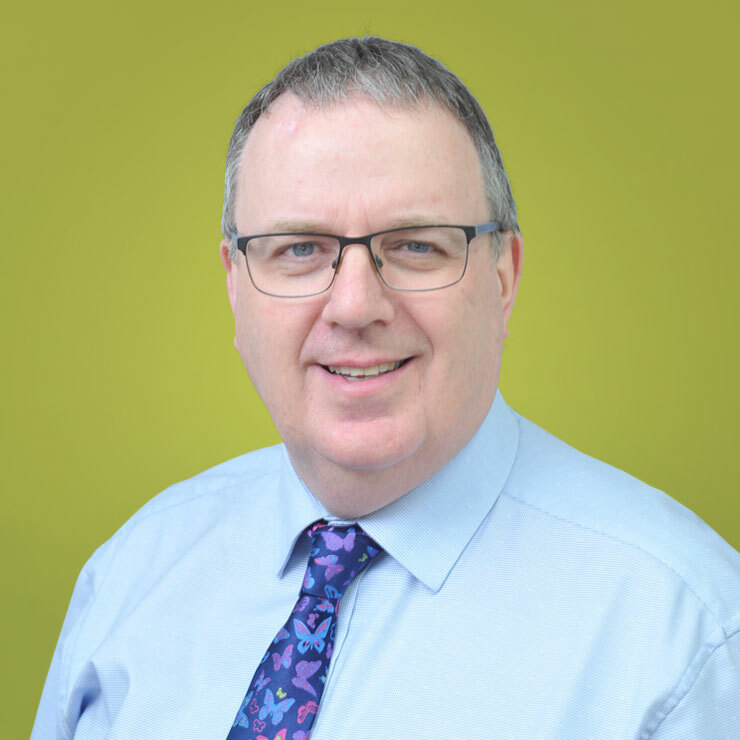 Peter joined Charity Bank in 2007, he has worked in the banking sector for over 30 years where he has been a relationship manager primarily involved with the organisations who operate in the social economy. Peter is a trustee of one charity. In his spare time he enjoys walks with the family’s dogs in the countryside. Lisa is responsible for the administration of Charity Bank’s portfolio of loans after they are approved. She helps guide and assist the bank’s charitable borrowers through the loan process and assumes responsibility for the team in the absence of the Head of Loans Administration. Lisa has over twenty five years of banking experience. She spent most of her career in management positions for the Woolwich and Barclays. 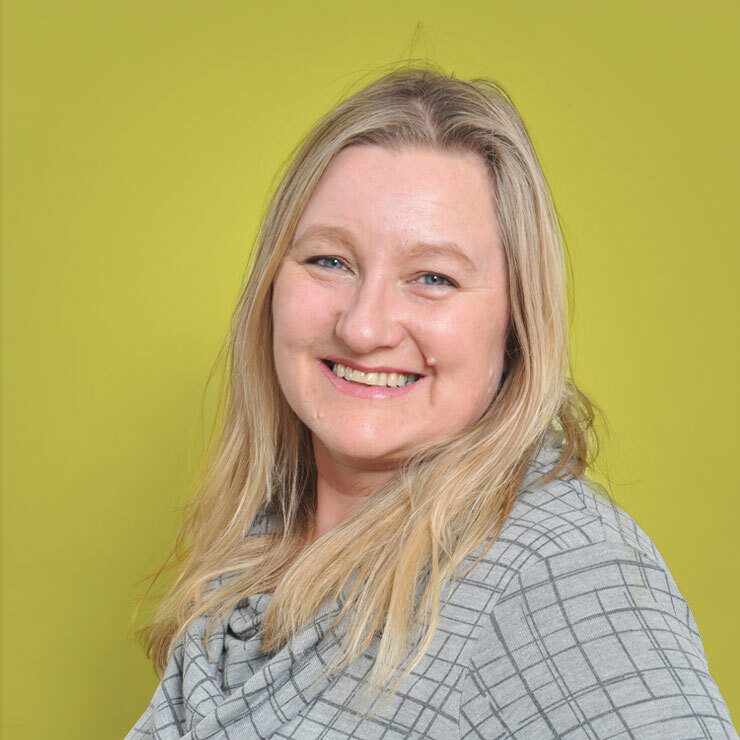 Prior to joining the Charity Bank in 2010, Lisa was Woolwich Operations Manager for Barclays responsible for all Woolwich account back office processing and a team of over 200 playing an integral role in the migration of Woolwich customers into Barclays the Woolwich. Sharon joined Charity Bank in June 2015 after taking a short career break to spend time with her children. Prior to joining Charity Bank, she worked for Barclays. 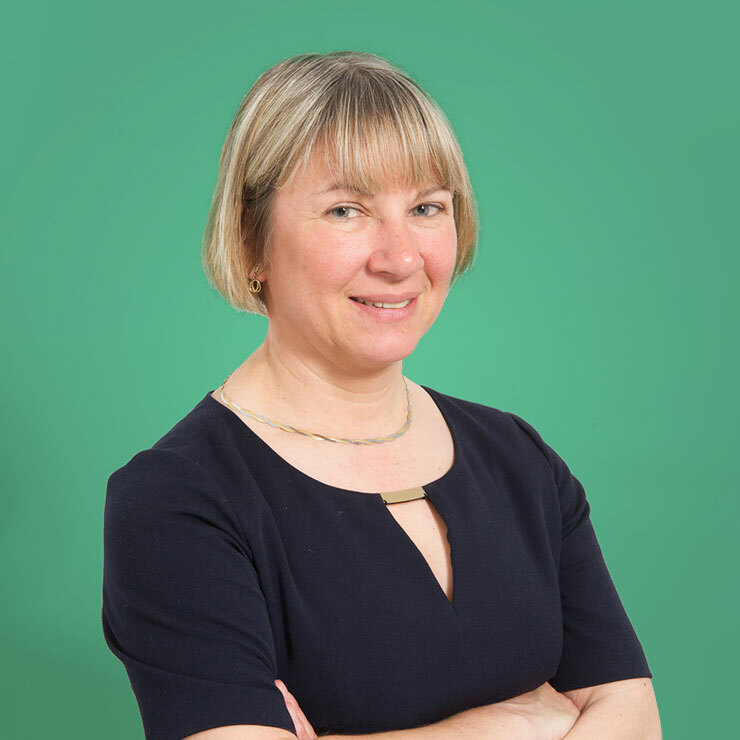 She has spent the last 15 years working in corporate finance risk, specialising in structured project finance and managing real estate, PFI/PPP and renewable energy assets. 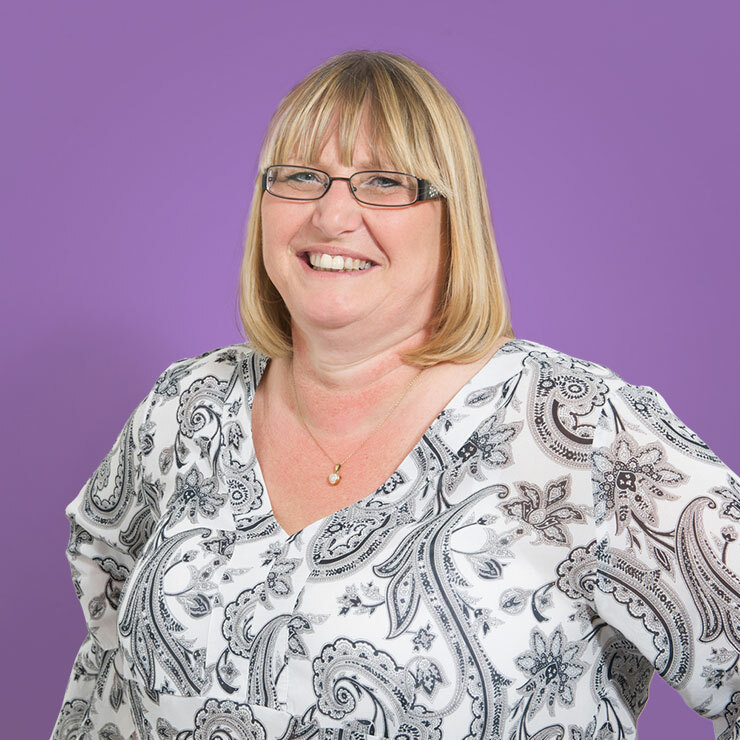 Sharon’s role at Charity Bank is to assist borrowers to draw down their loan, following its approval, as seamlessly as possible. Stacey joined Charity Bank in April 2017 after working for 18 years in high volume administrative and customer-focused roles within different industries including travel, hospitality and care. Debbie joined Charity Bank after 23 years with a high street bank. A relocation to Kent prompted her decision to move outside of mainstream banking and she has not looked back on that decision, enjoying the satisfaction which comes from knowing the work she is doing is helping other people. In her spare time Debbie enjoys sailing and skiing. Mark started his banking career spending 15 years with NatWest Bank, before moving on to Unity Trust Bank. During his eight years at Unity Trust he worked with the charity and social economy sectors providing banking and advice services. A five-year spell at the Co-operative Bank then followed where Mark worked with several the UK’s largest charities in its Charity and Social Enterprise team. Mark played a key role in establishing a loan fund for Responsible Finance Providers in conjunction with Unity Trust and the Regional Growth Fund. Away from work Mark is a qualified youth football coach. 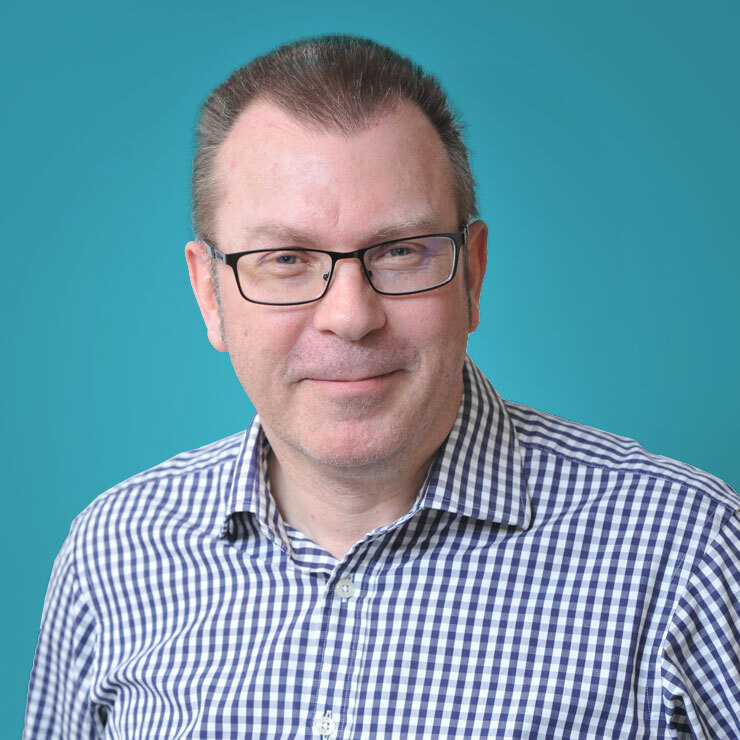 Jeremy joined the Charity Bank team in 2008 as Lending Manager, bringing with him over 20 years of business experience after a successful career across a range of senior management roles with one on the major high street banks. He is passionate about the community and voluntary sector and uses his skills to assist organisations help evaluate the benefits of social finance as part of their funding mix. In addition to his work with Charity Bank, Jeremy is trustee of a major youth charity in Yorkshire. As such he is acutely aware of the funding challenges and opportunities organisations face in the delivery of their mission. 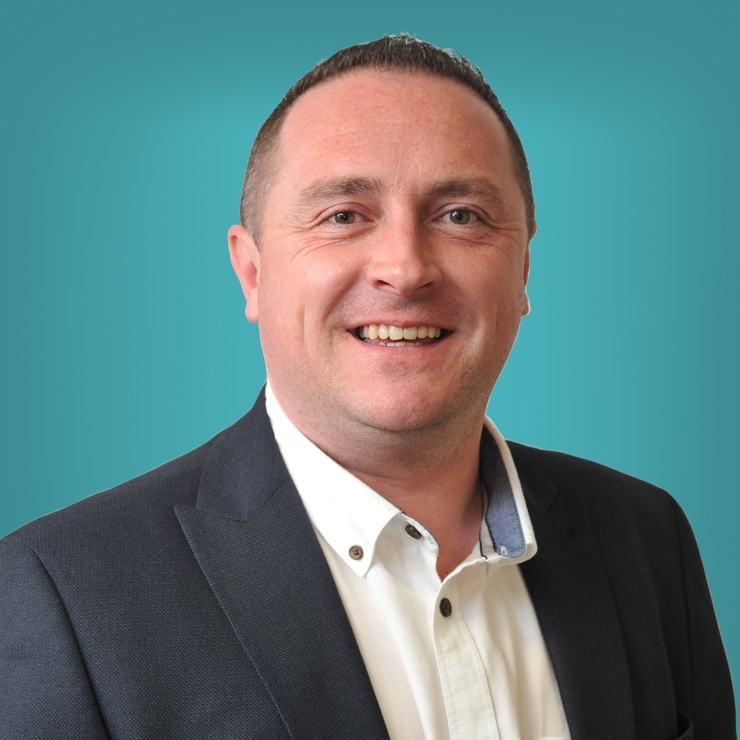 Martin joined Charity Bank in January 2018 and is our Regional Manager in Northern Ireland. 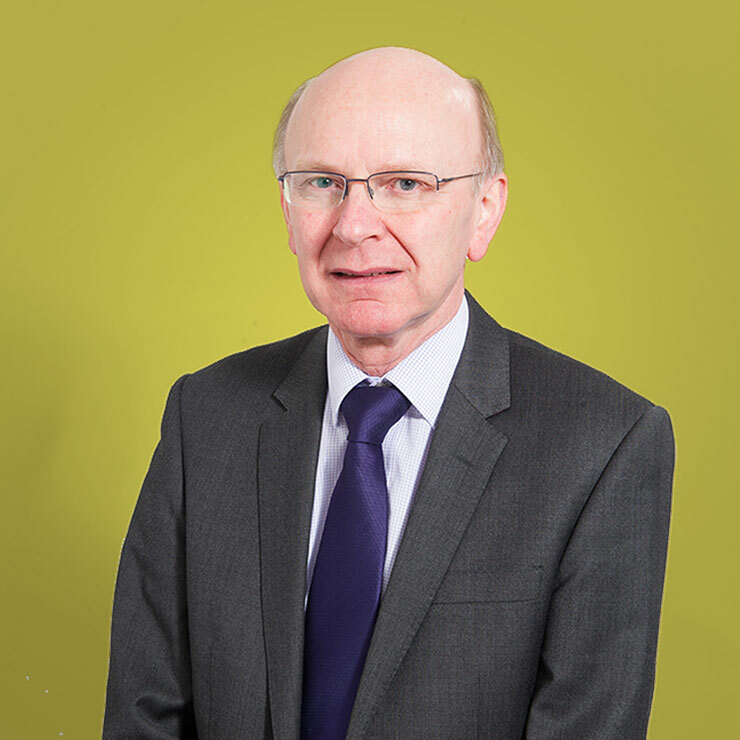 A Graduate in Banking and Finance from University of Ulster, Martin spent more than 30 years with AIB Group/First Trust Bank in various locations around Northern Ireland and in a variety of roles including Customer Relationship Management and Lending Manager. While at First Trust he chaired the Staff Charity Committee which had a number of very successful fundraising partnership with local charities. In the voluntary sector Martin is a Director of Building Change Trust where he is a Board member and Chair of the Finance sub-committee. Martin also chairs his local church Finance Committee. In his spare time, he describes himself as a music aficionado, and a sideline consultant for his youngest son’s football team. 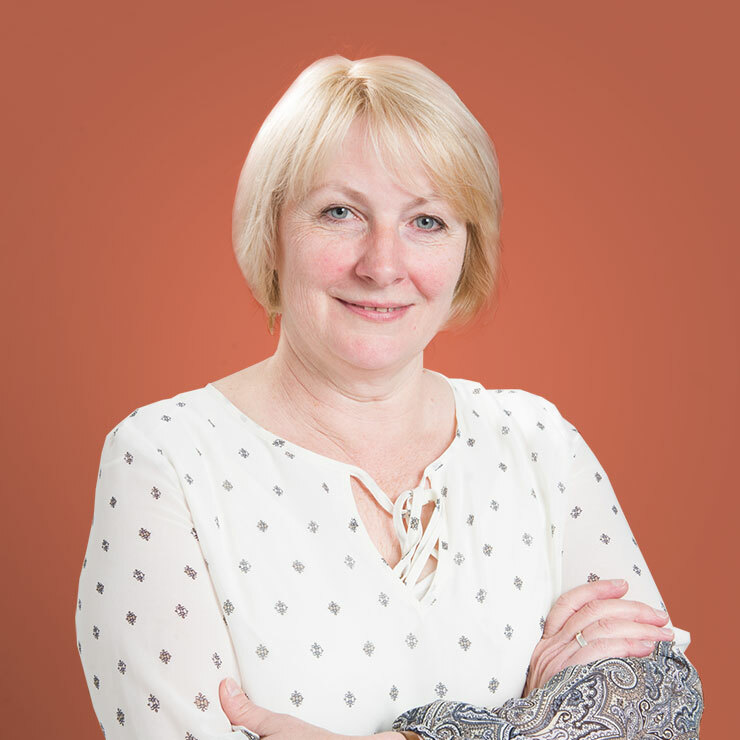 Sue is responsible for guiding and assisting Charity Bank’s borrowers through the loan process from sanction of the loan to drawdown, ensuring the process is as smooth as possible. Tim spent the first 33 years of his banking career at NatWest before joining Charity Bank in February 2017. In his spare time, Tim enjoys attending the London NFL games and spending time with his family and two grandsons. 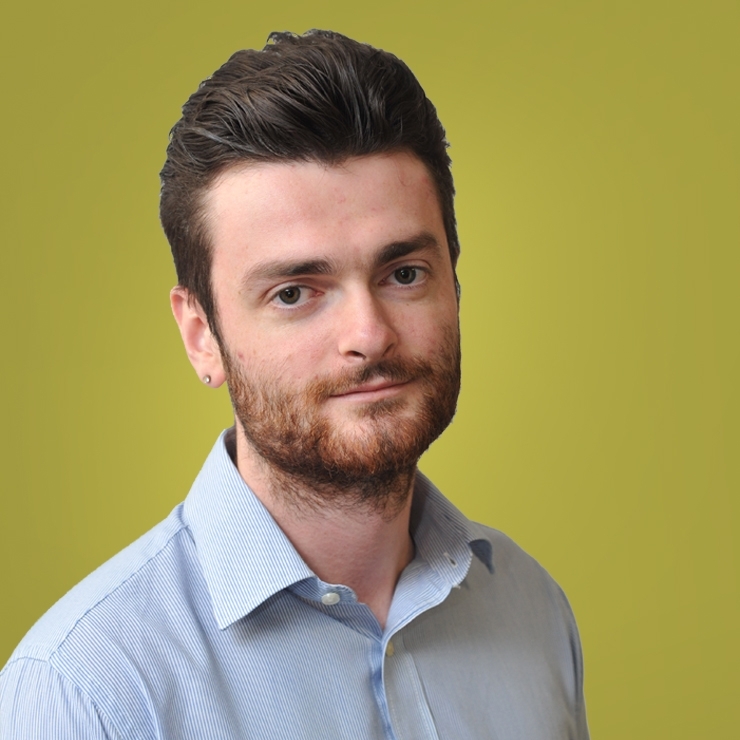 Adam is our Senior Lending Manager covering the whole of the UK, with a particular interest in helping our customers with more complex or specialist borrowing needs. 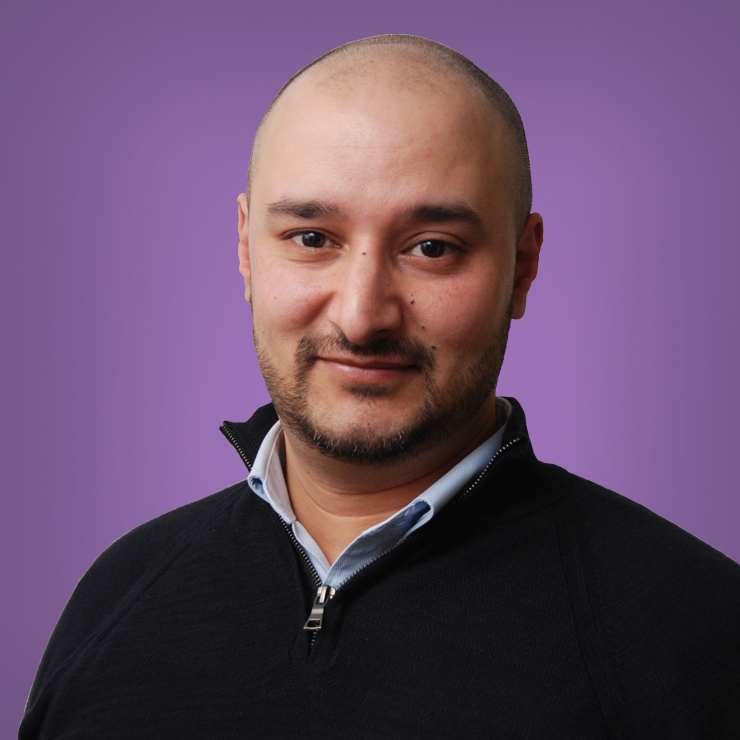 Prior to joining Charity Bank in 2015, Adam worked at Unity Trust Bank for 7 years specialising in banking provision and lending to charities and social enterprises. His most recent role was Head of Social Economy. In his spare time he enjoys cooking, going to the gym, and spending time with his wife and two daughters. 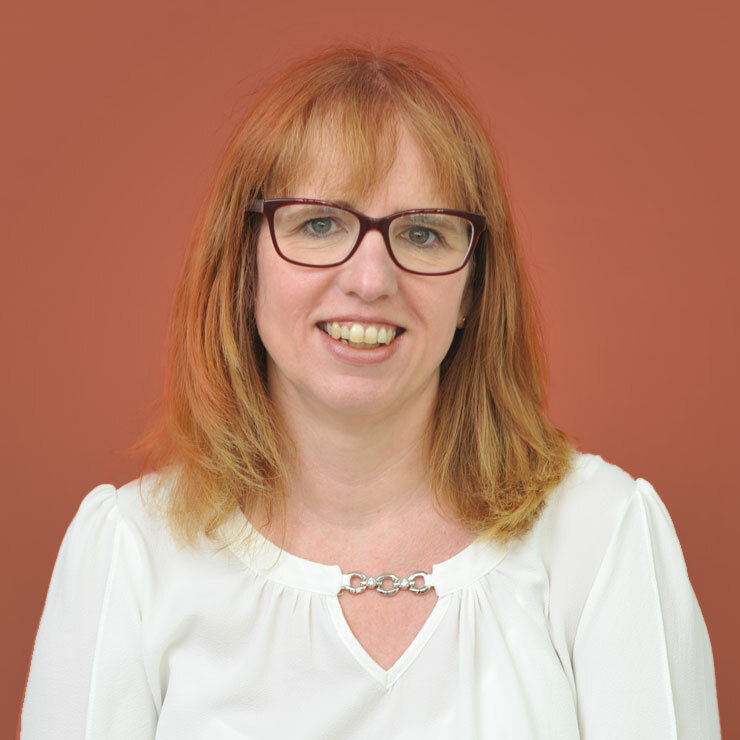 Bernie joined the Charity Bank team as a Lending Manager in December 2017, having spent ten years at the forefront of Business and Corporate Banking in Ulster Bank Limited (Part of the RBS group). 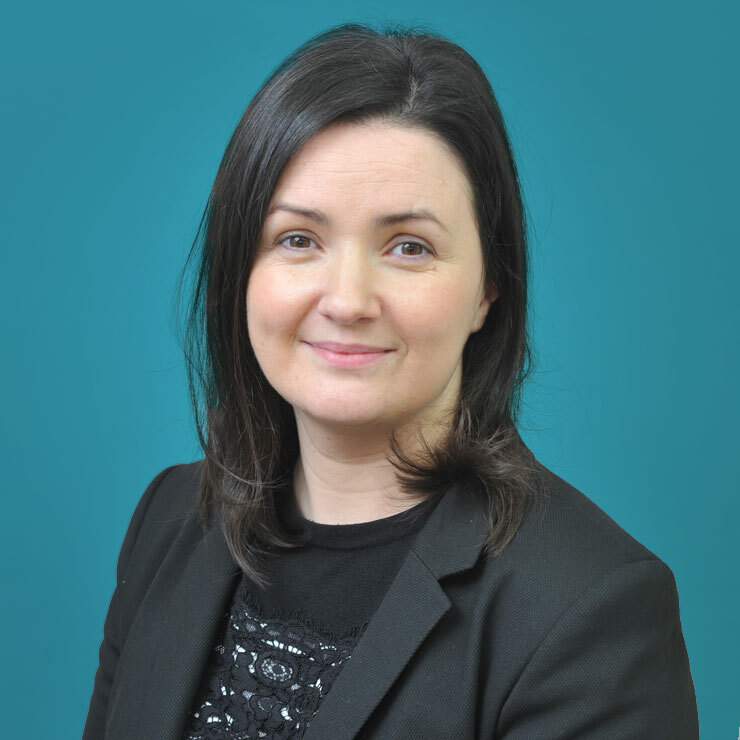 During her career at Ulster Bank she has managed a large portfolio of high net worth corporate and property customers both as a Manager in the Business Banking NI team before moving across to the Capital Resolution/Global Restructuring team. Bernie has significant experience in corporate and property lending, restructuring and capital resolution. Simon is our Regional Manager in the North West and Scotland having been with the bank since 2006. His working life began with a 15 year career in lending with Midland Bank, followed by a further 15 years in the charity sector, working for a large faith charity and then establishing two new charities in the region involved in regeneration, and in the provision of support and accommodation for homeless people. 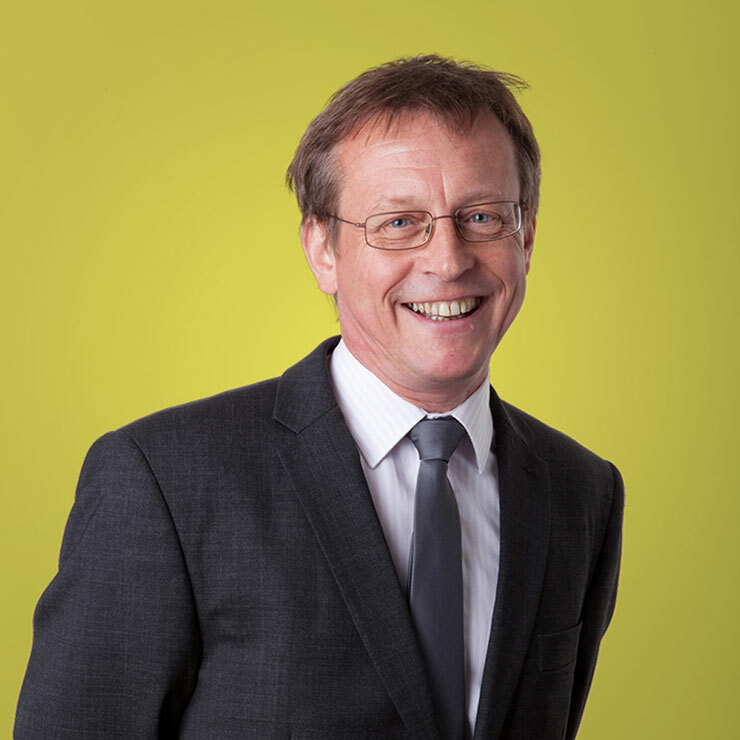 Simon is a trustee of two charities and has a passion for helping charities to realise their full potential, ultimately to serve their beneficiaries. His hobbies include fell-walking, running, listening to and playing music, and spending time with his growing family. 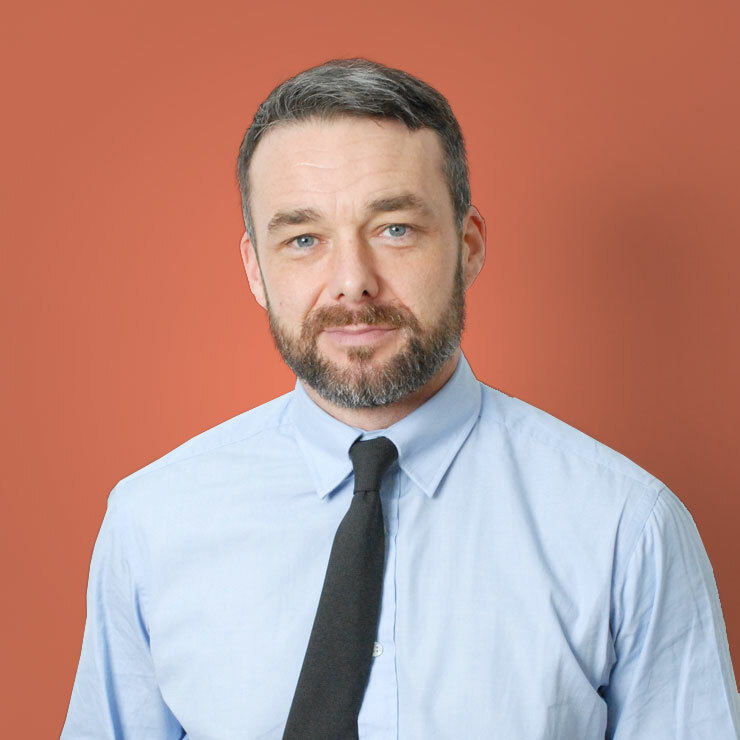 Lee brings over 25 years’ experience within the financial services industry having worked for two large global commercial banks prior to spending seven years working in the social economy with Unity Trust Bank. Lee has worked in retail and private banking, but most of his time has been in relationship management roles in SME, commercial and social economy sectors. At Unity Trust Bank, Lee was the National Lending Manager for Responsible Finance. He provided wholesale and direct funding lines to Responsible Finance Providers that used these funds to give access to finance to enterprises and individuals that couldn’t access finance from high street banks. Latterly Lee held the role of Social Impact and CSR Manager. Lee is the former President of a Chamber of Trade Commerce (2011-16) and is passionate about helping to create a strong, sustainable and inclusive society. Away from work he likes hiking and taking part in the WOLF Run (10k run with swims and obstacles), in 2018 he completed four runs to gain Alpha WOLF status. He is also a volunteer at a local children’s hospice. Not to forget he is an avid Leeds United fan! 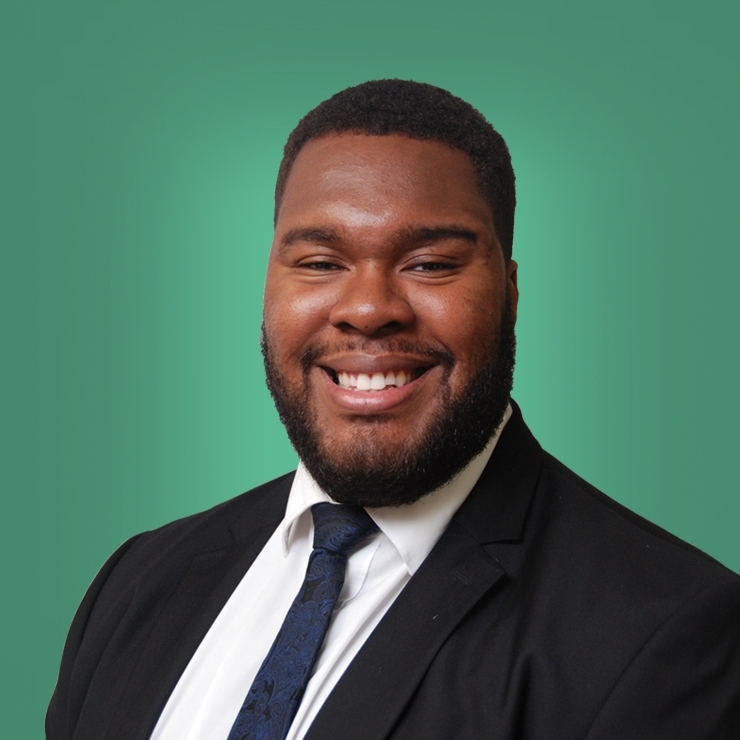 Lawrence joined Charity Bank as a Lending Officer in April 2019, having spent four years at Lloyds Banking Group. His career began as a Project Management Officer, working on large scale IT change projects. He then transitioned onto the Lloyds’ Corporate Banking Small to Medium Enterprises & Mid-Markets graduate scheme. Having worked within a number of roles, Lawrence most recently acted as an Associate for Lloyds’ Mid-Markets Housebuilder and Construction team, in which he helped manage a portfolio of some of the biggest names in these sectors. Lawrence was attracted to Charity Bank due to the company’s ethos and the impact the bank has on communities nationwide. Away from work, Lawrence is a keen traveller and has a personal goal to visit every country in the world before the age of 60. After 14 years working in the commercial banking sector, Baljeet joined Charity Bank as a Lending Manager in April 2019. His decision to move to Charity Bank was influenced by a desire to use his banking experience to help strengthen social sector organisations and improve their capacity to benefit society. Having obtained a degree in Business Management, Baljeet started his banking career in 2004 working in personal banking for Lloyds TSB. Since then, Baljeet has worked for both RBS and Santander as a Relationship Manager in the Small and Medium-sized Enterprise market. In his spare time, Baljeet enjoys travelling and spending time with his wife and children. 95% of our savers would recommend us to a friend. Meet the people that are there to help you open an account and answer your questions. Source: Charity Bank 2015 borrower survey. 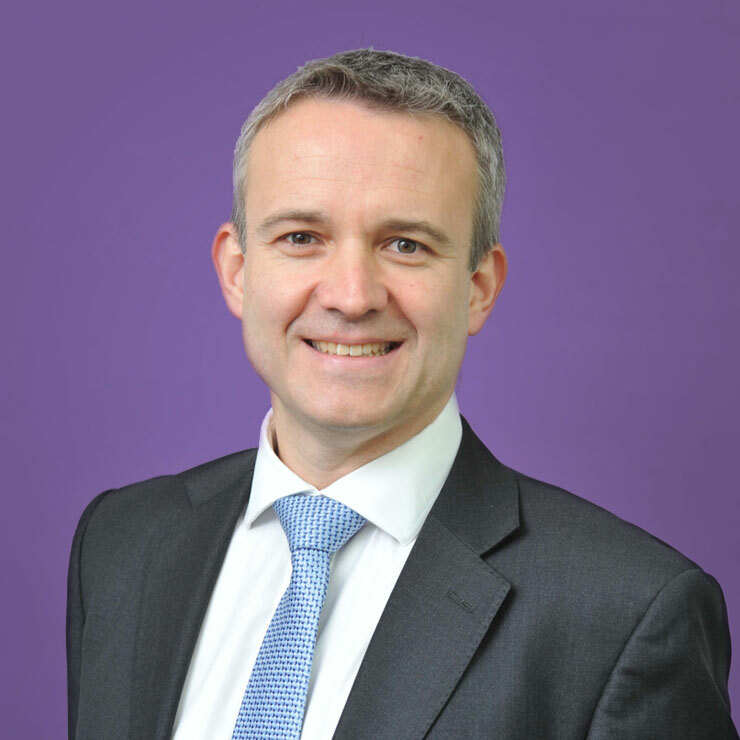 Justin spent sixteen years of his banking career with National Westminster Bank where he led teams with the responsibility for meeting the savings needs of businesses and charities. While at National Westminster Bank he arranged sponsorship for Lashings All-Stars to support its fundraising in support of local cricket clubs, schools and charities through legends cricket matches. 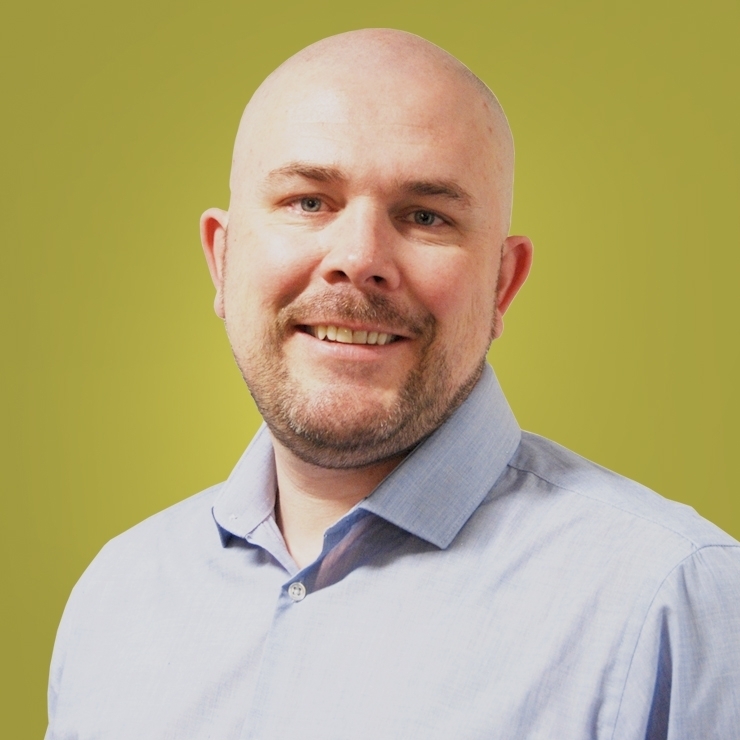 Justin joined Charity Bank in December 2014 where he has developed suites of deposit accounts for private individuals, businesses and charities that can be applied for online. These accounts allow the banks savers to earn a fair return and support the extraordinary work of charities and social enterprises across the UK. 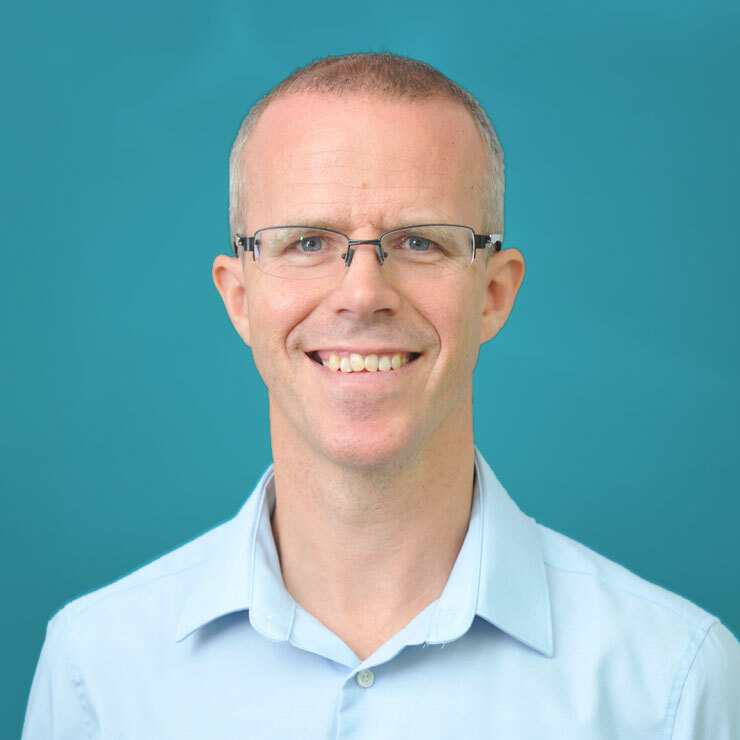 Justin joined Charity Bank in December 2018 as a Savings Manager, having worked in the various operational roles in the Banking and Finance Industry for the last 20 years. Justin is excited about joining Charity Bank and its mission that is not driven by profits but a shared idea of the world we want to live in." 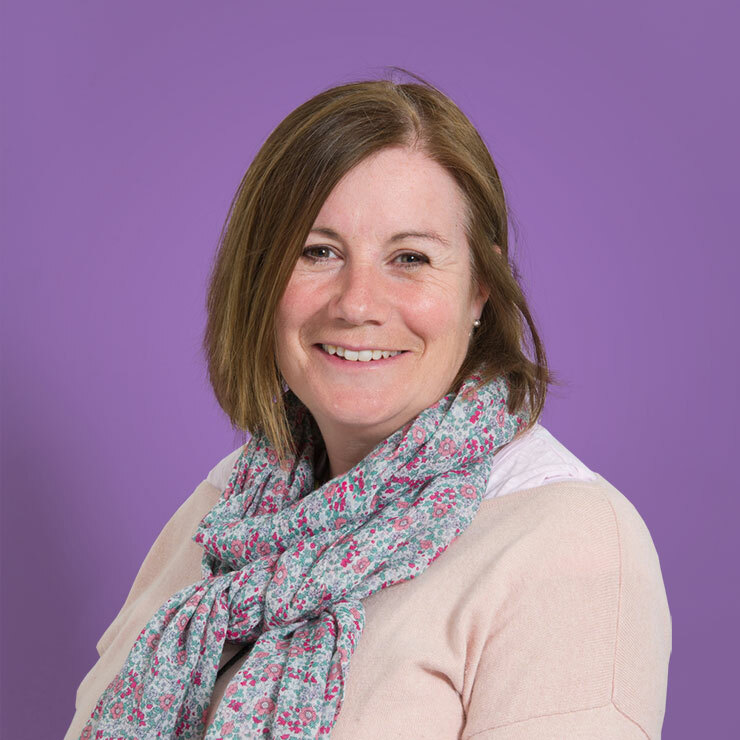 Claire joined Charity Bank in 2013 following nine years in a small family run financial services firm. In this time she gained the key skills for a role in the Savings Team. An ambition to further her career in alternative financial services brought her to Charity Bank. Claire is passionate about supporting people who save with the bank and keeping their best interests at heart. Since 1979 Philippa has been employed in financial and customer services roles, ranging from city banks to international banking in HK. return to the UK in 1993 Philippa began a career in the charitable sector when she joined CAF working for CafCash which later became CAF Bank. After 13 years service Philippa joined Charity Bank in the role of Deposits Administrator in 2005. Coming to work is a pleasure, says Philippa as I have the best of all worlds; enjoying the personal contact with clients, working with figures and knowing that Charity Bank is making a difference. Andrea joined Charity Bank in March 2017 as Saving Administrator after working for a major high street bank. She has 30 years’ experience in various customer service and real estate finance support roles. Nick joined the Charity Bank team as a Savings Administrator in March 2018, having worked in the Banking and Finance industry for over 30 years. He has spent the last 16 years working for The Royal Bank of Scotland Group in various customer service roles, including working with a portfolio of Charities, Housing Associations and Social Enterprises. Nick says: "I was pleased to accept the role at Charity Bank as it offers a refreshing approach to Banking." George joined Charity Bank in April 2018 and now assists the savings department in his role as Savings Support. Management is one of the areas we look into when we assess a loan application. Get to know the people who make up our management team. 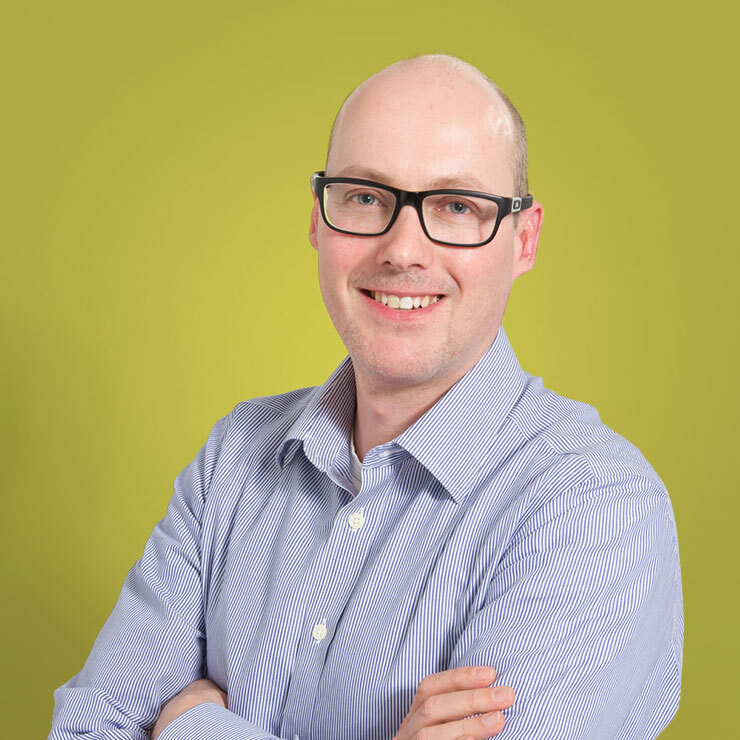 Ed joined the Bank as Chief Executive in July 2018 from Big Issue Invest (BII), the social investment arm of The Big Issue Group, where he was Managing Director for nearly ten years. During that time, BII grew from a book of social enterprise loans of around £2 million to a diverse array of social funds under management of over £65 million. 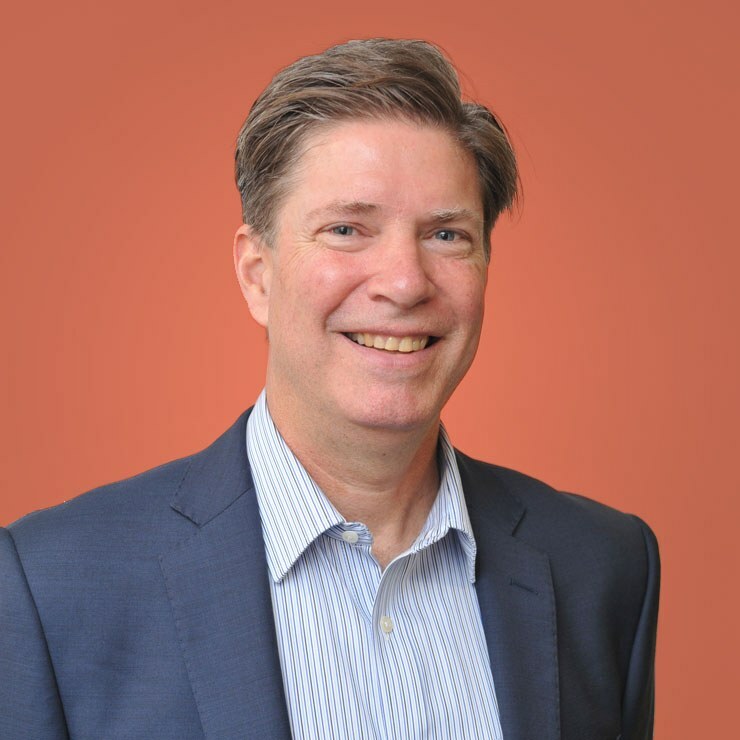 Ed has over 30 years of corporate banking, social investment and business consulting experience. He spent the early part of his career in commercial banking, mainly with Credit Suisse. Before joining BII in 2008, Ed was head of the Small Business Banking practice of ShoreBank International (now known as Enclude) where he oversaw the implementation of SME finance programmes and advised financial institutions throughout the developing world. Malcolm joined Charity Bank as Deputy CEO in September 2012 and was appointed a Board Executive Director in January 2014. Malcolm’s career has been mainly in risk and regulatory roles, initially in banking at RBS and Chase Manhattan, followed by a period in banking supervision at the FSA where he was involved with the authorisation of Charity Bank in 2002. He has also spent time working in the insurance sector holding positions as Risk Director with Legal & General, in its Mortgage Distribution Company and in its Wealth Management division, before joining Just Retirement as its Head of Risk Reporting. Malcolm was also a co-opted member of Charity Bank’s Audit and Compliance Committee between 2003 and 2009. He is a Trustee of Allergy UK. 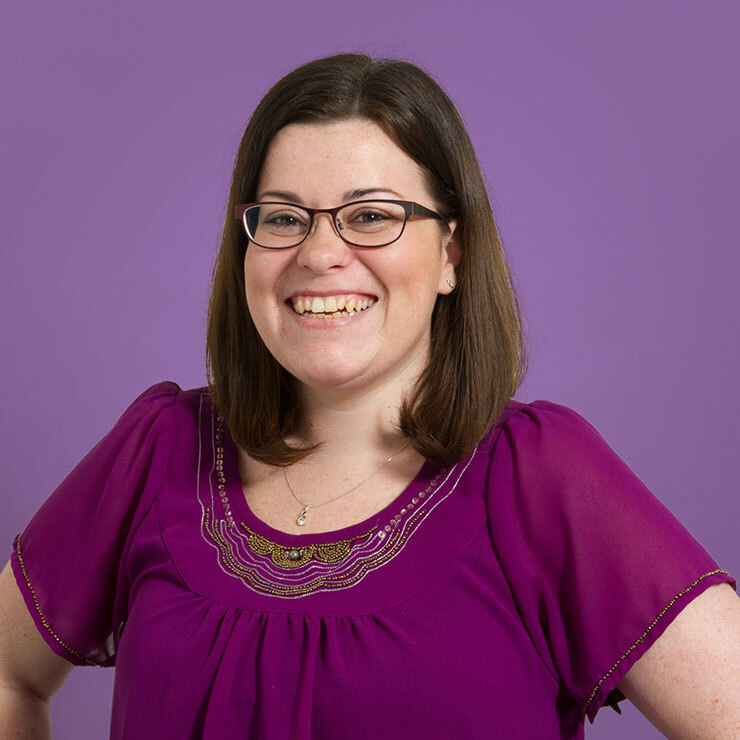 Gillian worked closely with Charity Bank in 2009, covering a number of line and project roles. In February 2016 Gillian was appointed Acting Finance Director. 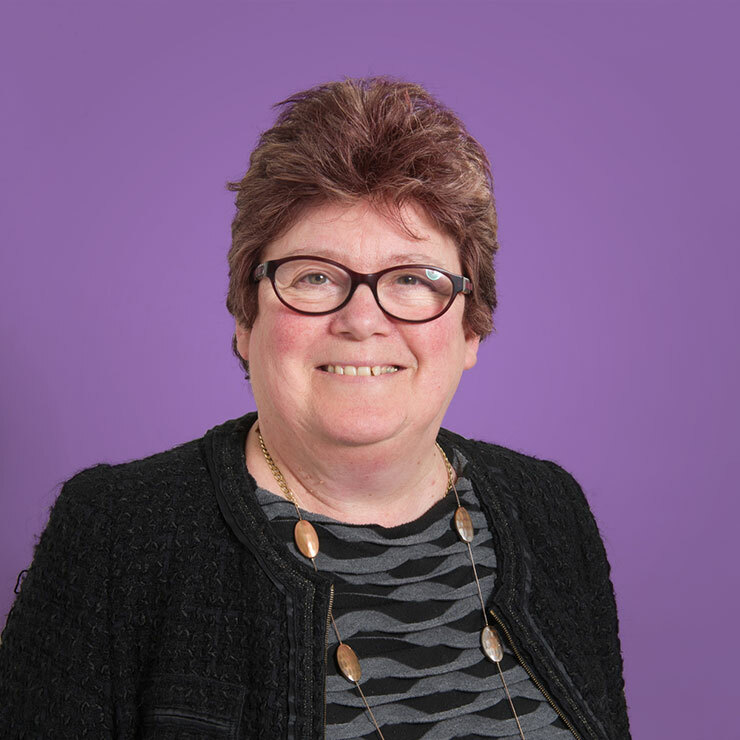 A Fellow of the Chartered Certified Accountants body, Gillian has over 30 years’ experience in the financial services sector. She has covered a diverse range of roles from Management, Financial and Strategic accounting through to large scale Programme Management for a range of banks and financial institutions including Deutche Bank, Bankers Trust, Mitsubishi Finance Dean Witter and GT Asset Management. Since moving into ethical finance, she has used her skills to support Charity Bank’s banking for good model, using finance to support charities and social enterprises across the UK. Caspar started his career at HSBC as an International Manager, working for seven years in a variety of commercial and retail banking roles in Asia and the Middle East. After graduating from INSEAD with distinction, he founded and managed a retail business which he sold in late 2009. Caspar worked for over four years for Big Issue Invest Limited, before joining Charity Bank in June 2014. Caspar was made Head of Credit and became an Executive Director of Charity Bank in February 2015. She then worked for the Charities Aid Foundation briefly in 2005 in its business development team before joining Charity Bank in October 2005. Carolyn is a trustee / treasurer of a number of charities. Our non-executive directors give us their time, social sector knowledge and financial expertise for free. Meet our critical friends. George joined Charity Bank as Chair in May 2010. His full-time career has ranged from adventure playgrounds to investment banking and fund management. He retired as senior vice president and director from AllianceBernstein Ltd in December 2009. He had previously been chief executive of Union plc; a director of SG Warburg Securities, Seccombe, Marshall and Campion plc; and a non-executive director of Meridian Investment Performance Services. George is the senior independent director of the insurer, Beazley Plc. In addition, he has always been involved in charitable activities, social housing in particular. He was the Chair of Southern Housing Group from 1993 to 2006 and is now Chair of Stonewater. Robin joined Charity Bank in February 2015 as a Non-Executive Director. 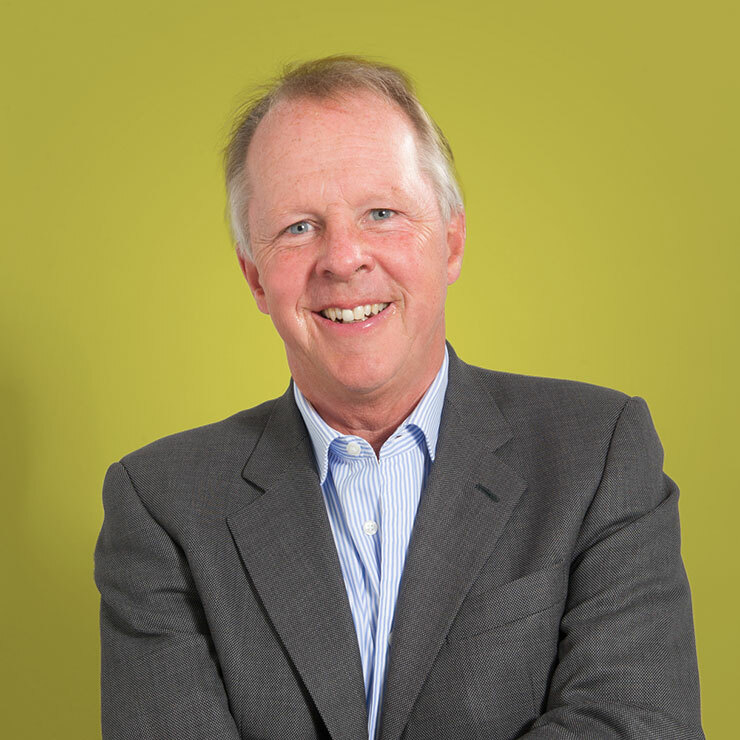 Robin is London Chairman of Centerview Partners, a US based corporate advisory firm and is also a Non-Executive Director of The Big Society Trust. 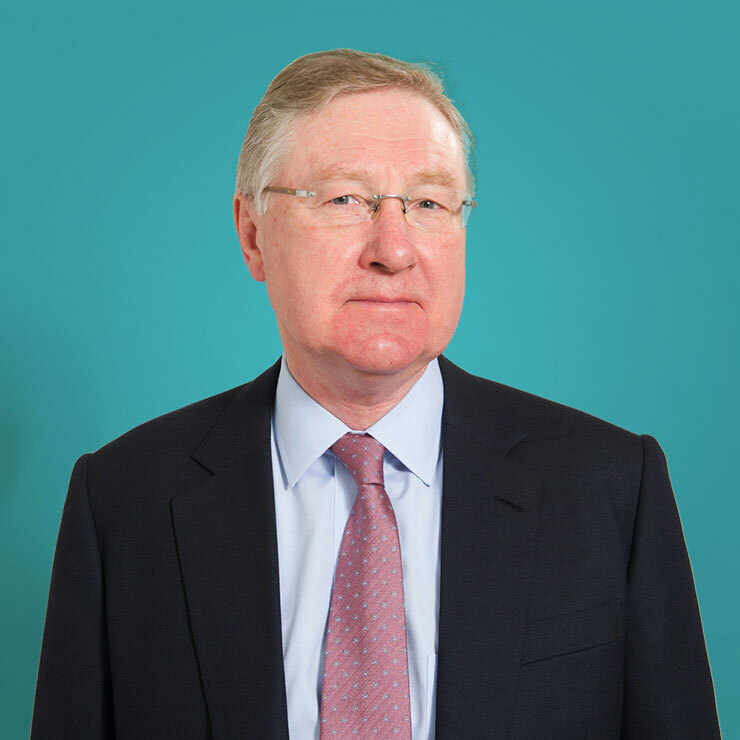 Robin was previously Chief Executive and subsequently Chairman of UK Financial Investments, the body responsible for managing the Government's investments in the UK banking industry. Before that, Robin spent 25 years with S G Warburg/UBS advising major UK companies on strategy and corporate transactions. He also advised the UK Government on a number of issues, including the 2008 bailout of the banks. 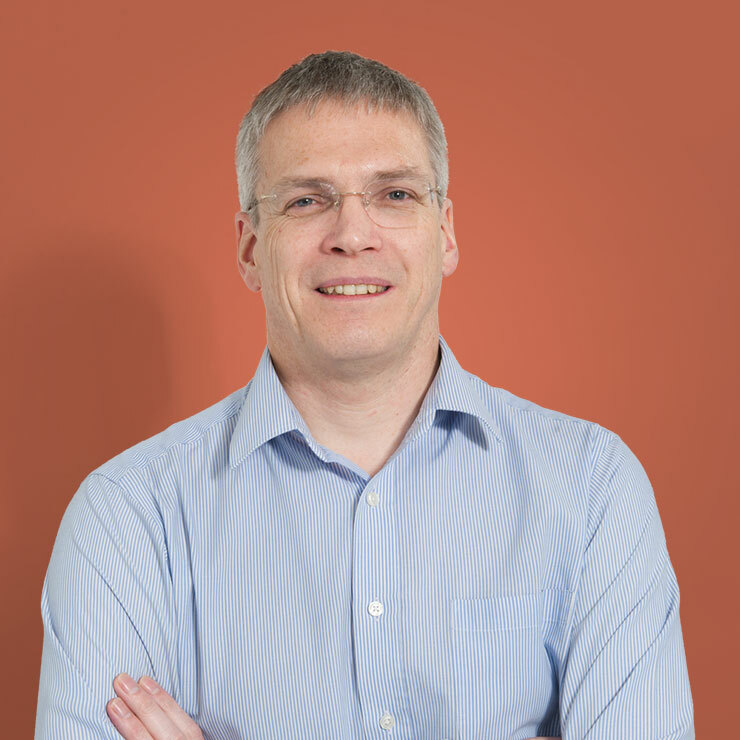 Robin holds a degree in Law from Exeter University and qualified as a Chartered Accountant with Price Waterhouse. 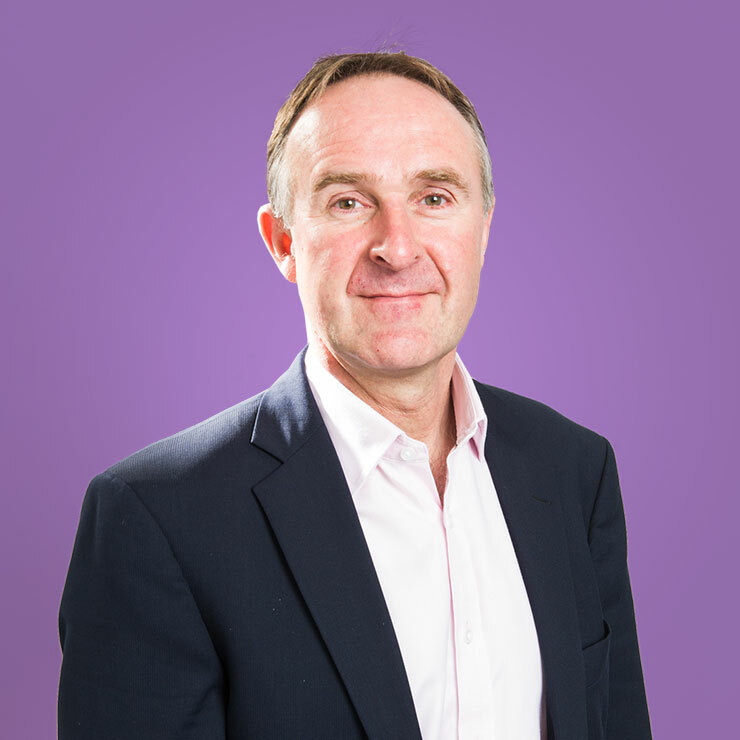 Mike was appointed as a non-executive director in January 2017. He has been an advisor to the Charity Bank board credit committee since June 2014. Mike recently retired from Standard Bank where he served as Chief Executive of Standard Merchant Bank (Asia) Ltd., based in Singapore, and also managed the bank's principal investment management portfolio. He has a wide experience of corporate and investment banking having previously been the head of origination in Europe for CIBC World Markets, and of coverage for Standard Bank globally. As well as the business development side, he has also sat on risk committees for both institutions and managed several large recoveries. Mike has worked in the Middle East, Asia and UK. David Godfrey was appointed as a Non-Executive Director of Charity Bank in August 2013. David recently retired from his position as Chief Executive of UK Export Finance (ECGD). Prior to taking up the role of CEO, David had been Chief Risk Officer at Pension Insurance Corporation, a speciality insurer of defined benefit pension schemes. He has extensive experience of corporate banking and insurance, having held posts as Head of Risk for the Wholesale Banking Division at Lloyds Banking Group from 2009 to 2011 and as a member of the Executive Board of Swiss Re. At Swiss Re he was also Chief Risk Officer for the Financial Services Group. David has also held positions with JP Morgan in London and New York and prior to that, with Bankers Trust Company. 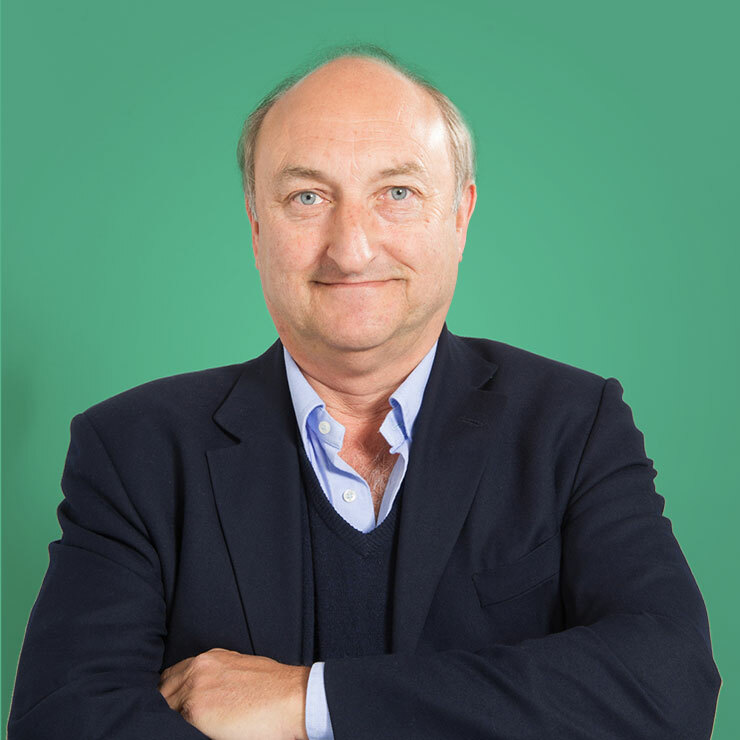 John is Chief Executive of the Charities Aid Foundation (CAF) and became a Non-Executive Director of Charity Bank in February 2011. Before joining CAF, John was Chief Executive of the Royal National Institute for Deaf People (RNID), the national charity for deaf and hard of hearing people. John is also an Independent Member of Council at City University of London. John moved to the voluntary sector after pursuing a twenty year career in the technology industry. He holds a PhD in Bio-Medical Physics, is a Chartered Engineer, a Companion of the Institute of Management and a fellow of the Royal Society of Arts. John was awarded a CBE for services to the voluntary sector and to deaf people in 2008 and Knighted in 2017 for charitable services. 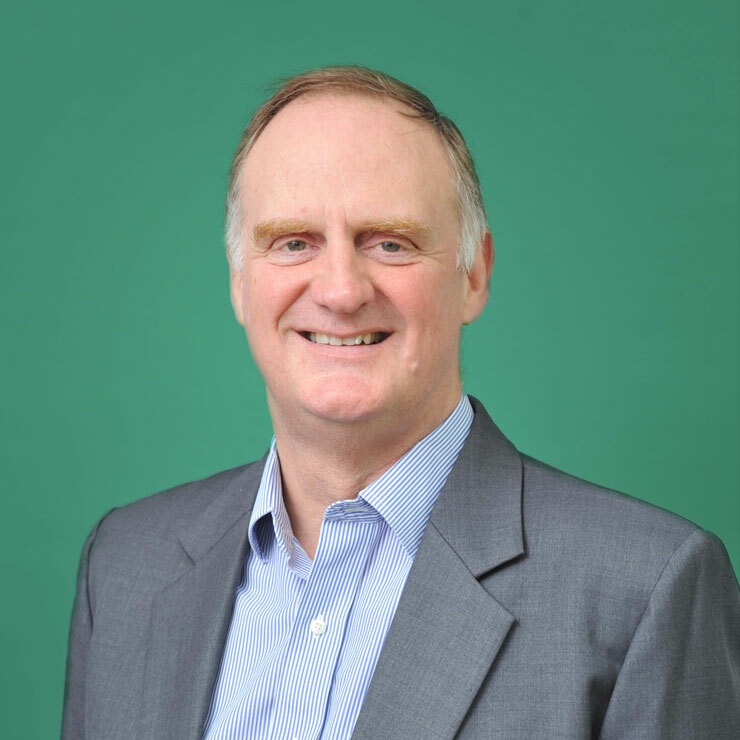 He was previously an Independent Member of the House of Lords Appointments Commission, Chair of the Association of Chief Executives of Voluntary Organisations (ACEVO) and President of the Euclid Network of European social entrepreneurs and civil society leaders. Sara became a Non-Executive Director of Charity Bank in August 2010. 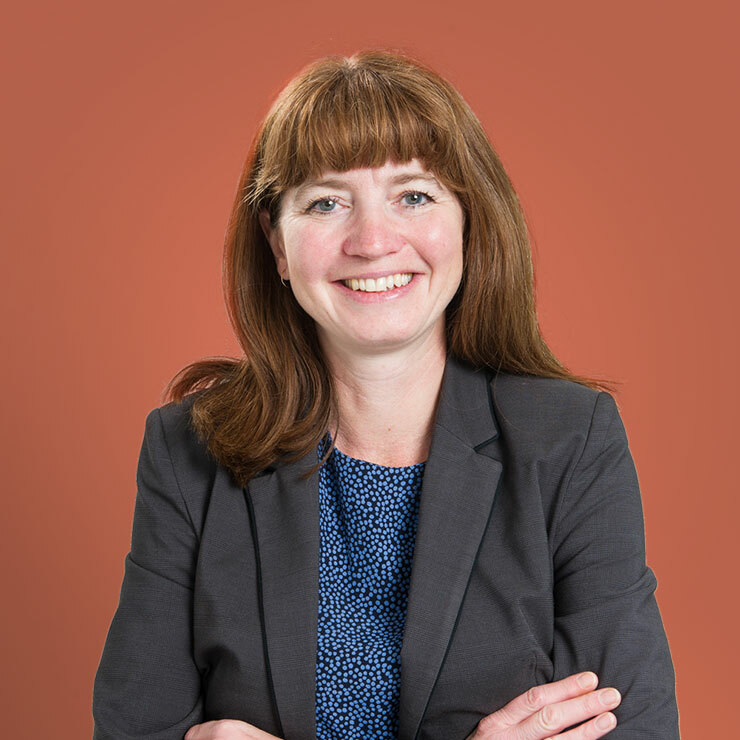 She is Chief Executive of the Barrow Cadbury Trust, a philanthropic grant making foundation working in the fields of public policy and social justice and one of the charitable trusts pioneering social investments. She is on the Governing Council of the European Foundation Centre, the membership body of European Foundations, and is Vice-Chair of the Association of Charitable Foundations. Sara has had a 35 year career in the not-for-profit sector. She was previously at the City of London’s City Bridge Trust and before that was Chief Executive of St Giles Trust in South London. She has served on Futurebuilders England’s investment committee and on several lottery boards. Sara’s roots are in social justice activism. She is a Freeman of the City of London and a Fellow of the Royal Society of Arts. Anna Shiel was appointed as a Non-Executive Director of Charity Bank in April 2014. 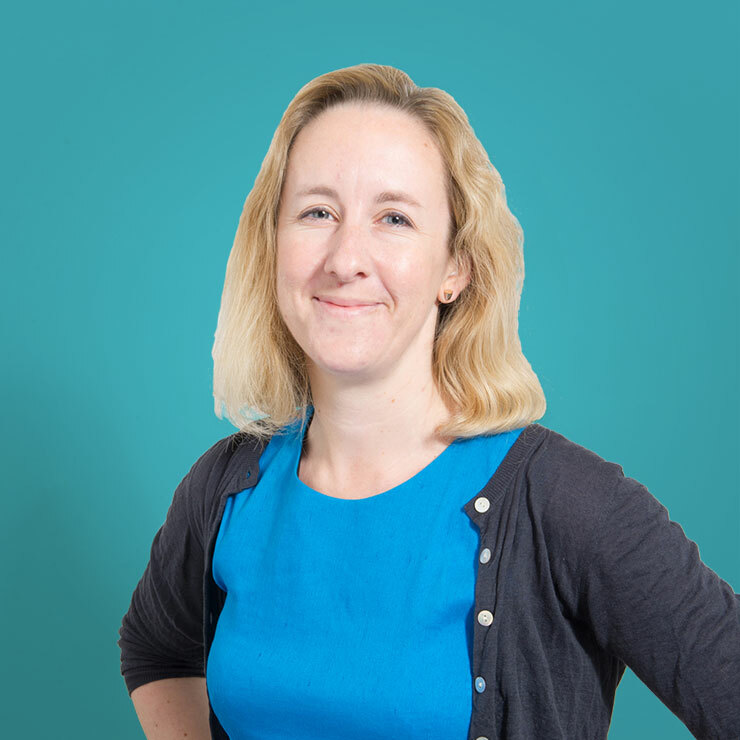 Anna is currently Senior Investment Director at Big Society Capital. Big Society Capital is an independent financial institution with a social mission, set up to help grow the social investment market, so that charities and social enterprises who want to borrow money, or take on investment, can access the finance they need to do more. Before joining Big Society Capital in 2012, Anna was a Director in Merrill Lynch’s Financial Institutions Group with responsibility for UK financial sector coverage. She spent twelve years at Merrill Lynch, providing strategic advice to banks, insurers and asset managers and working on an extensive range of transactions, including mergers, acquisitions and IPOs. 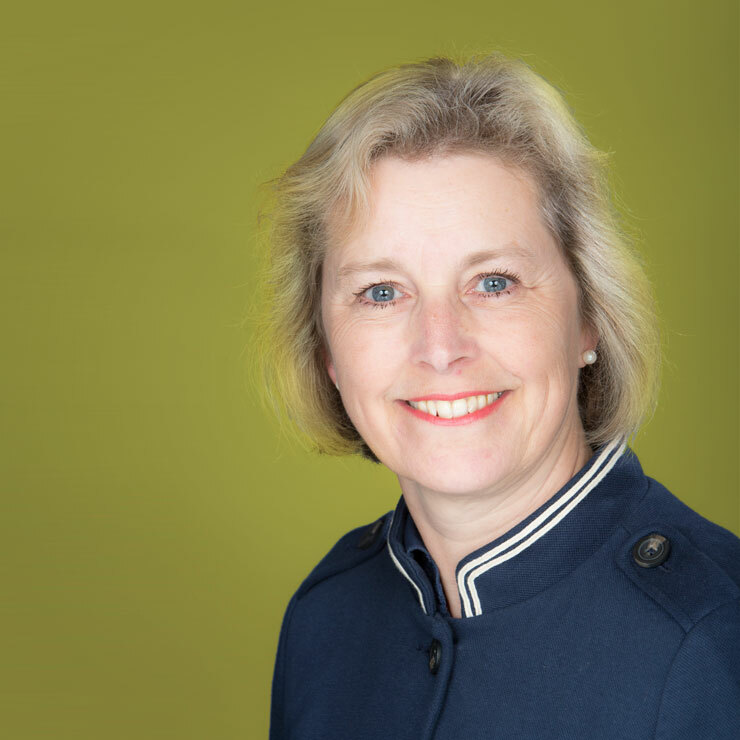 Kate Sayer is a UK-based qualified chartered accountant with over 30 years’ experience of auditing and advising charities. 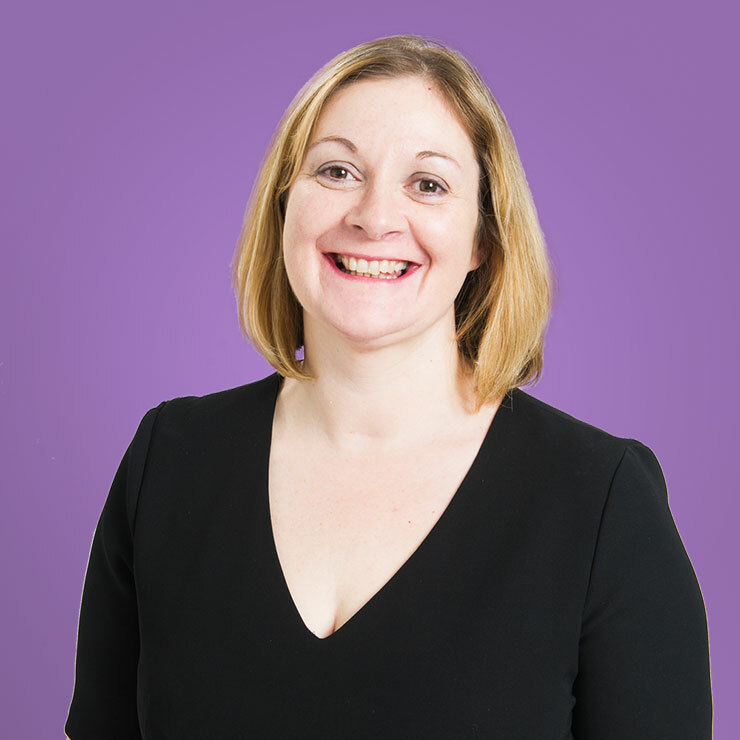 Formerly a partner in Sayer Vincent, she now advises charities on governance, risk management and coaching finance teams, Kate is still committed 100% to helping charities become more effective. Her deep knowledge of non-profit governance, legal frameworks, taxation and financial management has been built up over thirty years working in the sector on a range of different assignments. Kate is the author of several books on financial management for the Directory of Social Change. She is a Senior Visiting Fellow in the Faculty of Management at Cass Business School for the diploma and masters in charity finance. She is the treasurer of the Association of Chairs and on the Finance and Risk Committee of the British Asian Trust. Toby became a Non-Executive Director of Charity Bank in December 2016. 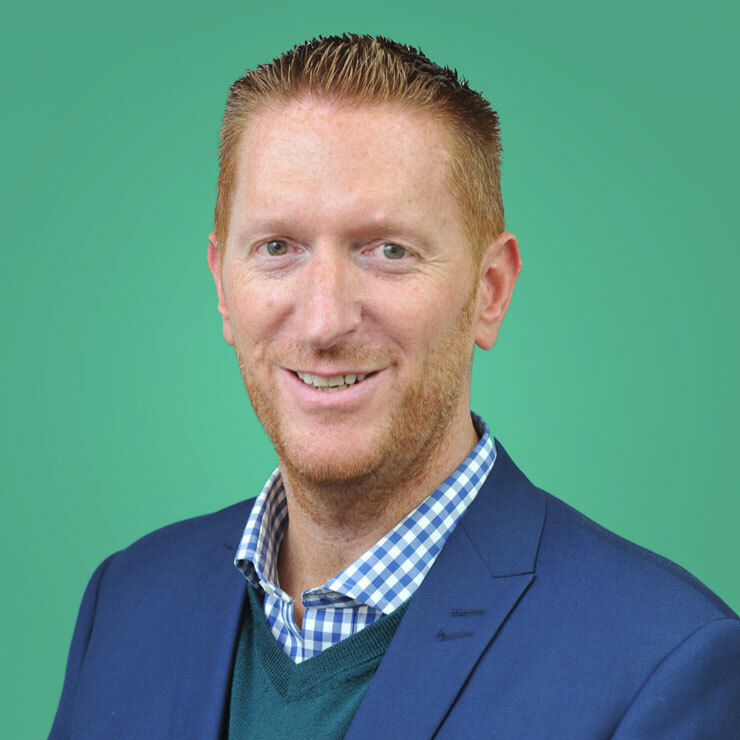 Toby is currently Home Insurance Director at Lloyds Banking Group (‘LBG’), where he has led a transformation of the Home Insurance business across LBG’s multiple brands and distribution channels increasing market share and improving customer service. Prior to this, Toby was Director of LBG’s Chief Executive Office where he provided support and counsel to the CEO during a period of significant restructuring and turnaround of the bank to profitability, dividends and selling government owned shares. 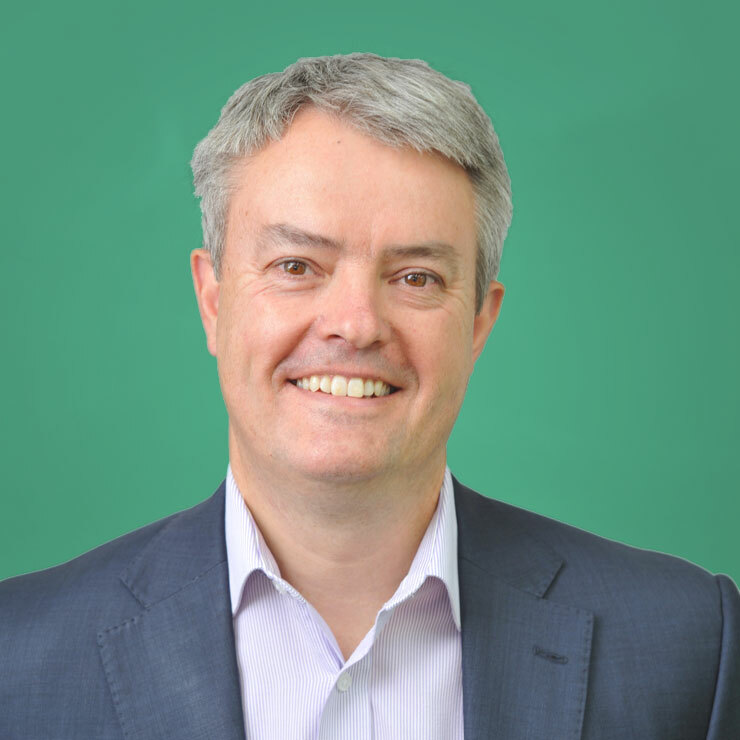 Toby is a Chartered Accountant and has extensive banking experience, having held leadership positions across private equity, leveraged finance, portfolio management, corporate banking, digital, treasury and trading. Toby is an active fundraiser, enjoys mentoring social entrepreneurs and is a keen participant in his local community through managing and coaching rugby teams. Every single one of our shareholders is either a charitable trust or foundation or a social purpose organisation. So what drives us isn't profits but a shared idea about the world we want to live in. The Baring Foundation was created in 1969 as a corporate foundation of Barings Bank, a major London-based merchant bank that can trace its history back to 1762. After Barings Bank collapsed, The Baring Foundation became an independent foundation operating, through use of endowment, to improve the quality of life of people experiencing disadvantage and discrimination. The foundation makes grants to voluntary and other civil society organisations. It also shares knowledge and aims to influence others to drive progress on key social issues. The Baring Foundation’s three grants programmes focus on arts, international development and strengthening the voluntary sector. The Barrow Cadbury Trust is an independent charitable foundation, committed to bringing about socially just change. It provides grants to grassroots community groups and campaigns working in deprived communities in the UK, with a focus on Birmingham and the Black Country. It also works with researchers, think tanks and government, often in partnership with other grant-makers, to overcome the structural barriers to a more just and equal society. The Trust was founded in 1920 by Barrow Cadbury and his wife Geraldine Southall Cadbury. Big Society Capital is a financial institution with a social mission, set up to build the social investment market in the UK, so that charities and social enterprises can access appropriate repayable finance to enable them to grow, become more sustainable and increase their impact on society. It is doing this by building a diverse social investment market: encouraging investors to lend or invest money to achieve a social as well as a financial return. Since it was set up as an independent organisation in 2012, Big Society Capital has committed over £165 million in investments to specialist organisations who lend to charities and social enterprises. Charities Aid Foundation (CAF) helps people and businesses support the causes they care about, and provides straightforward day-to-day banking and fundraising services to charities, freeing them up to concentrate on the real work of making a difference. As a charity itself, making an impact in the sector is core to CAF’s mission, and it has also spearheaded many of the changes that make the UK one of the best giving environments in the world. Since 1979 The Community Foundation For Northern Ireland has been working at the heart of local communities. It aims to reduce poverty and exclusion among the most disadvantaged in society and to make Northern Ireland more inclusive, peaceful and equitable. The foundation believes in the power of community activity to change Northern Ireland for the better. So it works in partnership with communities, encouraging them to be proud of who they are and what they have achieved. It also works with local and international donors, helping connect them to people and projects which are strengthening community and changing people’s lives. Cumbria Community Foundation exists to tackle poverty and disadvantage and strengthen Cumbria’s communities by connecting fund holders and people who donate money with inspirational, life changing projects. Providing strategic philanthropic services to individuals, families and organisations, it is the county’s largest grant making charity with endowed assets in excess of £14m. Since 1999 it has awarded £25m in grant aid and more than £2.4m annually through 60 grant making funds. It has funded over 4,000 organisations and 3,000 individuals. The foundation aims to improve the quality of life for people and communities throughout the UK both now and in the future. It does this by funding the charitable work of organisations that have the ideas and ability to achieve positive change. It makes grants of £30 - £35 million annually towards a wide range of work within the arts, children and young people, the environment and social change. It also operates a £26 million Finance Fund which invests in organisations that aim to deliver both a financial return and a social benefit. The Frederick Mulder Foundation is a London-based charitable trust funded by Frederick Mulder's business as a dealer in European Printmaking from 1470 to 1970. The Foundation envisions a world which is fair, secure and environmentally sustainable, and in which the rights of future generations are respected in decisions taken today. Towards these ends, it primarily funds organisations which address the development of social change philanthropy, the threat of climate change and the persistence of global poverty. LankellyChase Foundation exists to bring about change that will transform the quality of life of people who face severe and multiple disadvantage. It focuses particularly on the persistent clustering of social harms such as homelessness, substance misuse, mental and physical illness, extreme poverty, and violence and abuse. It undertakes a range of activities including grant making, special initiatives and commissioned research and policy analysis. It aims to solve problems by supporting or promoting action based on a robust analysis of both the problem and its underlying causes. Its fundamental goal is to help shift the way that people on the extreme margins are valued by society, so that policy, public debate and practice focus on people’s capabilities and humanity. Each day, millions of people make a difference to the causes they believe in through voluntary organisations and volunteering. This thriving voluntary sector and volunteer movement are essential to a better society – especially in times of challenge and change. Inspired and empowered by 11,000 members, NCVO champions the voluntary sector and volunteering. It does this by connecting, representing and supporting voluntary organisations, from the smallest community groups to the largest charities. Today, the Nuffield Foundation works to improve social well-being by funding research and innovation in education and social policy. It also works to increase research capacity, both in science and social science. RBS Social & Community Capital (S&CC) is an independent charity supporting social entrepreneurs who are unable to access sufficient finance through mainstream channels. RBS created RBS S&CC to understand and meet the specific needs of social enterprises. It acts as a link between social enterprises and RBS, facilitating the provision of finance and support to communities. RBS S&CC makes loans to viable charities, social enterprises, community interest companies and co-operatives who are sustainable, deliver high levels of social value and are investment ready. The Tudor Trust is an independent grant-making charitable trust which supports organisations working in any part of the UK. It funds a wide range of people and organisations working to build stronger communities. The Tudor Trust avoids creating specific funding programmes designed to advance a particular agenda as it believes that the groups it supports are best placed to identify problems and develop solutions. Tudor supports work which tries to meet the many different needs of people at the margins of our society. It is interested in how organisations tackle these needs, and their root causes and seeks to work with organisations which understand the challenges facing the communities they support, and have a clear sense of the difference they seek to make through their work. The Vodafone Foundation uses innovative communications technology to help drive social change and improve people’s lives. Supporting the communities in which Vodafone operates, the Foundation sits at the centre of a network of social investment programmes. 28 Vodafone Foundations across the globe fund projects aimed at a range of issues from improving healthcare and education to supporting disaster relief and preparedness. The Foundation works to combine Vodafone’s charitable giving with the company’s innovative technology, data & networks to drive social change, providing people with the tools that enable them to improve their lives. The Wates Foundation is an independent grant-making charity. It awards grants directly to charities registered with the Charity Commission for England and Wales, social enterprises and other established community groups. Wates Family members seek out charities to support, often from within their local community and invite them to apply. Its grant making activities are categorised into six themes: Building Social Values; Education and Employment; Community Health; Life Transitions; Safer Communities; and Strengthening the Voluntary Sector.